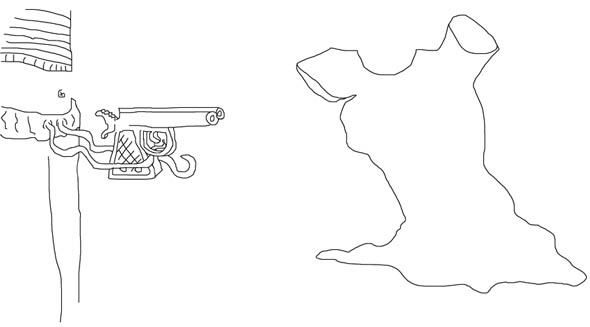 "Telephone Pictionary #14 - No one is Normal "
Another one needs to be done, yes, yes, YES! If we don't get 20, I'll just make it shorter. Remember to send your line/picture to the next person on the list and to me. The Results: "No One Is Normal - Telepic #14 - The Series"
Draw-strings are a leading cause of fashion-related injuries. I got the feeling my sweatpants didn't want me to change into any nicer clothes - the handgun they were brandishing made that much obvious. "Take 'em off or else!" Troy the jogging pants demanded. Jogging pants have been known for being a little on edge and sometimes even vicious, but Troy was just flat-out perverse. "I said take 'em off or else!" 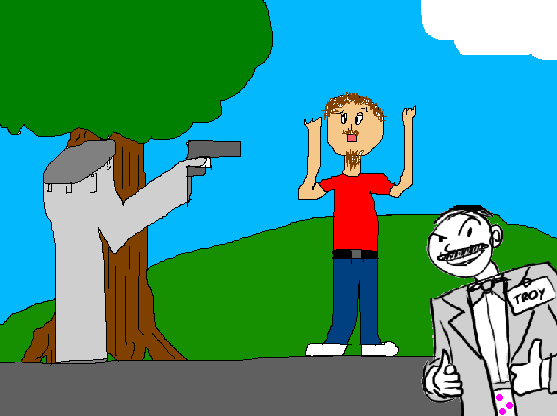 He echoed as he pulled out a gun-hand from his right pant-leg. The man could do nothing but gape as he started to remove his pants, Troy scanning the man's body with the large eye in his other pant leg. 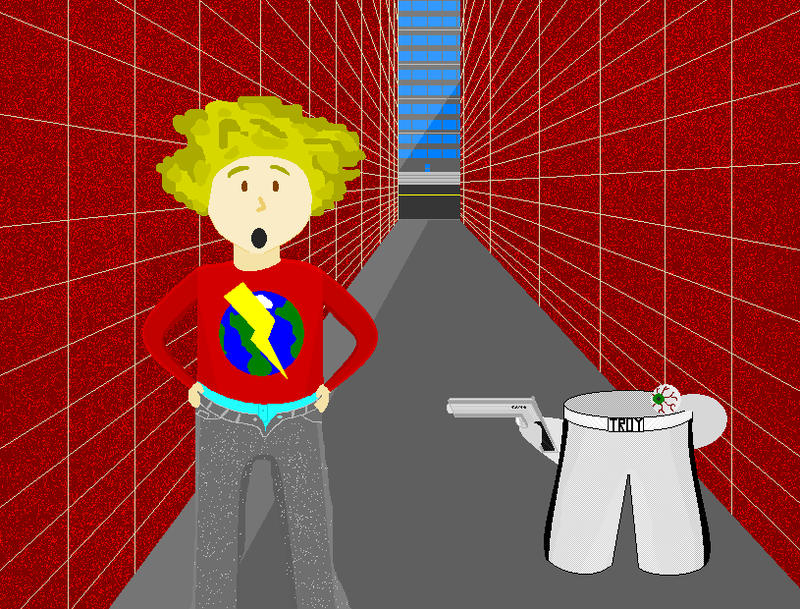 Troy's pants required a new host, and resorted to muggings to find one. The sequel to Wallace and Gromit : The Wrong Trousers didn't receive as much critical acclaim as the original movie. gif's poor performance was one of the main reasons, Troy's exaggerated and pantless praise another one. The critic hated the NY ManDog flick but loved the appearance from a spamusement regular. Cut ballast, before Kermitzilla kills us both! 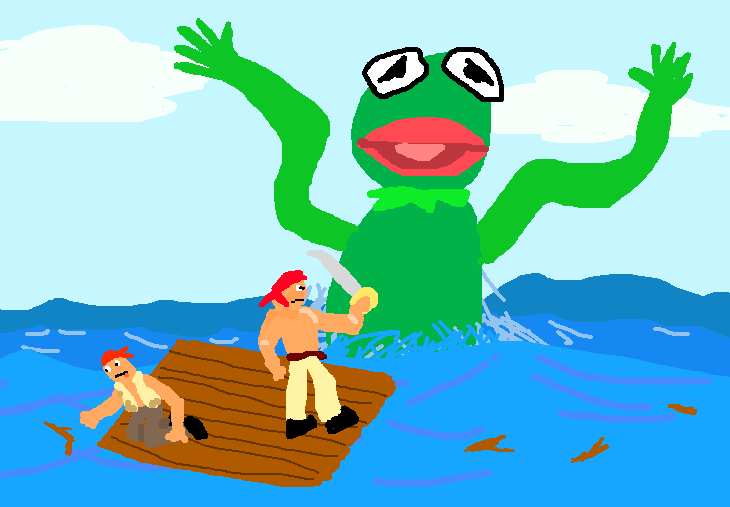 The giant Kermit roared out of the sea, preparing to fall upon the hapless pirates. The bravest one readied himself for a fight, while the other one fished some jetsam out of the sea. Wacky flailing inflatable waving arms tube Kermit surges expressionlessly from the midsts of the sea, which is a jaunty, pastel shade of blue. 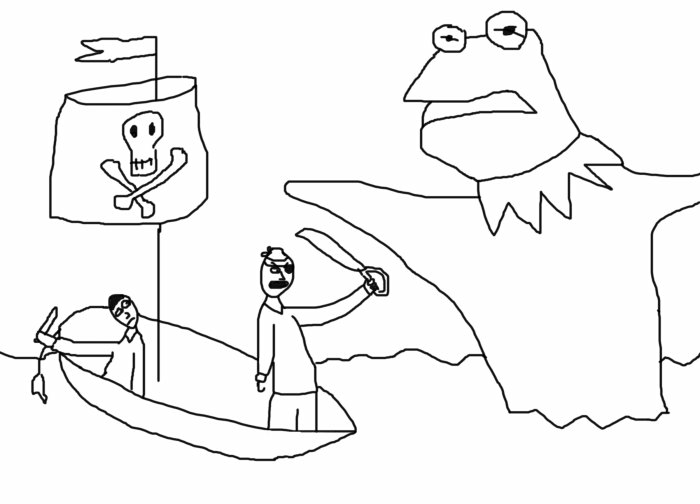 Kermit's sole purpose appears to be to scare the depths out of two pirates, who are obviously gay because they are pirates and they live together on a raft. The raft itself is just a few bits of wood tied together, probably from a shipwreck. 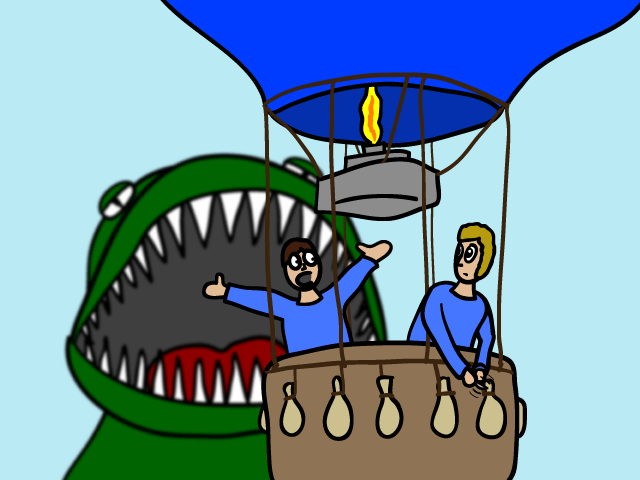 Of the pirates, one is concerned with defending himself from the still expressionless kermit, while the other is obviously hungering for the floating debris...or faeces. 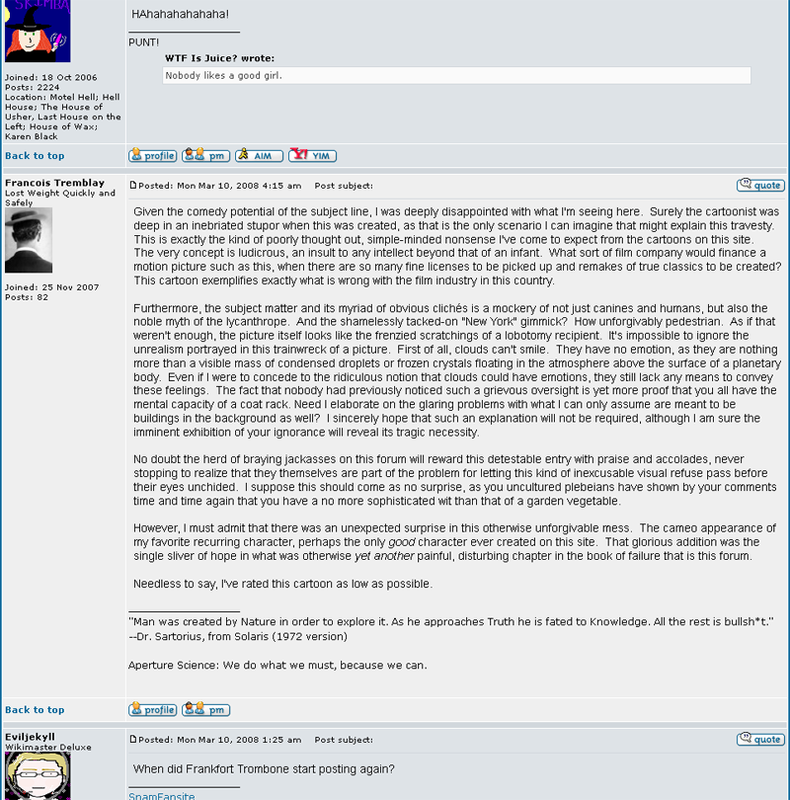 ntw3001: The pleasant pirate couple were shipwrecked! They had fashioned an impromptu floating office from blood-smeared roll mats. 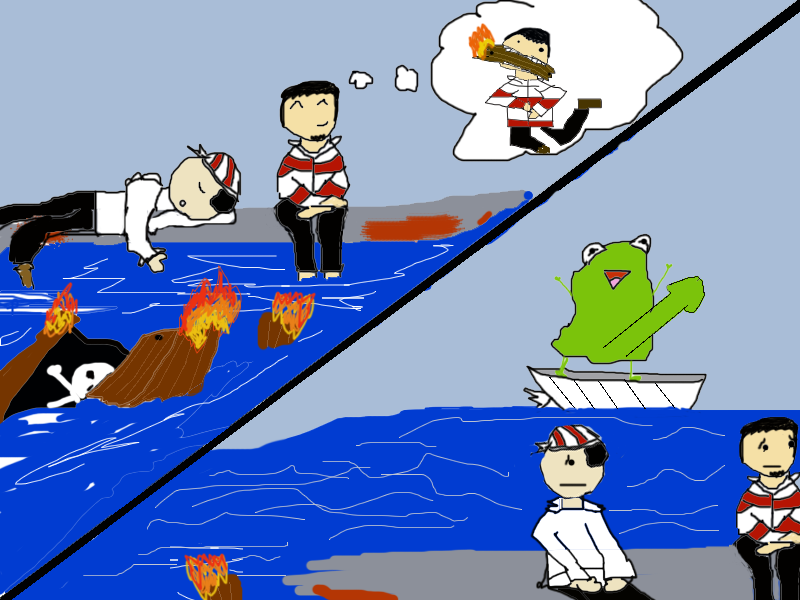 While Ted slept, his pegleg hanging into the water, John entertained himself by imagining himself eating their ship as it burned. 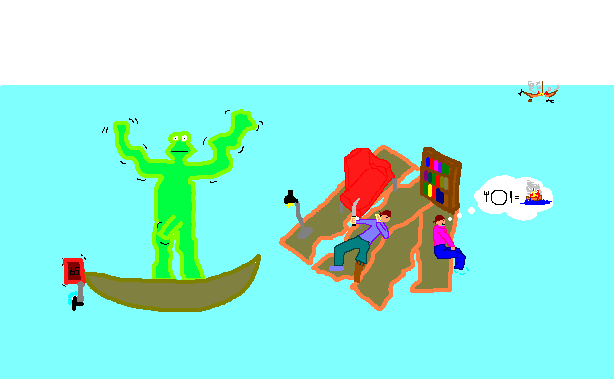 Jelly Kermit approached in a speedboat that was far too small for a frog of his stature, and both pirates noticed he was sporting an enormous erection. This made them feel uncomfortable with his company, and they avoided his gaze, hoping he would realise he was unwelcome. [Skimba] enjoyed watching this take shape. Everyone was awesome. Let's do it again sometime, OK? [Skimba] originaly had little funny things to say after people's names, but [she] got rid of them because [she] didn't like the way it flowed. They were funny though. They were!